I got this order in May 2017, the customer came up to my shop. His order was very simple. 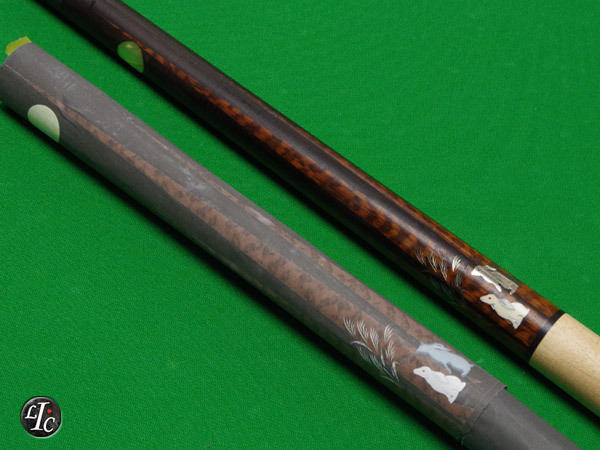 "I'd like to have two rabbits somewhere on my cue... this cue will be a gift from my wife. she loves rabbits very much. 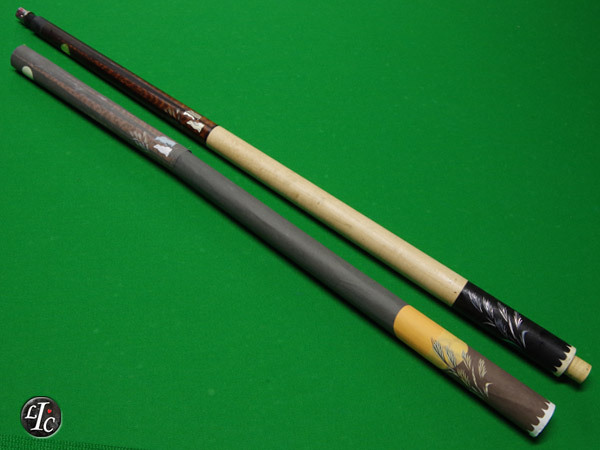 If the cue has rabbits design, then she will pay for this cue as like gift to me." Summer time, I was busy, but never forget his order from my heart, why? 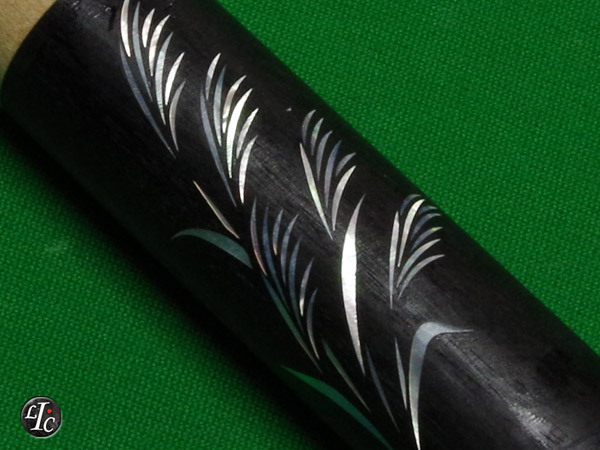 His order was very simple, but for my side, this was super hard motif for pool cue designning. Rabbits... Rabbits... Rabbits... Day and Night, I spent my time for several months just for this design. 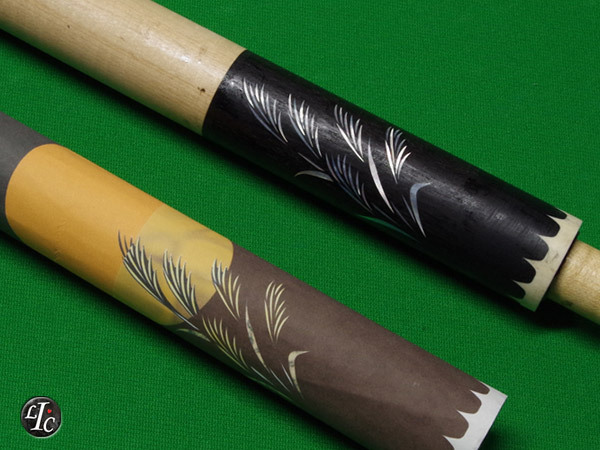 In the forearm, 2 rabbits are looking up beautiful autumn moon through Japanese plant Susuki. 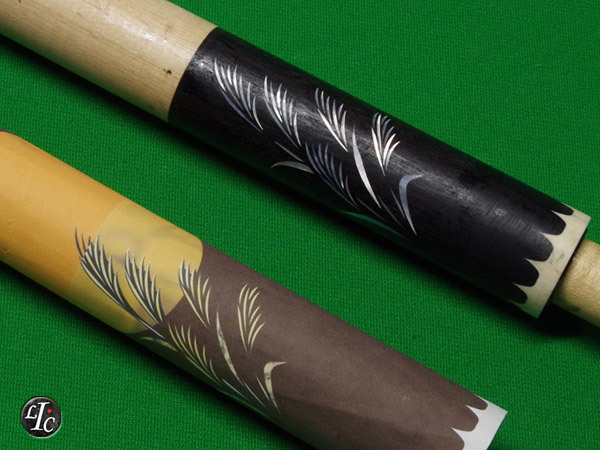 And I put big moon and Susuki in the sleeve.